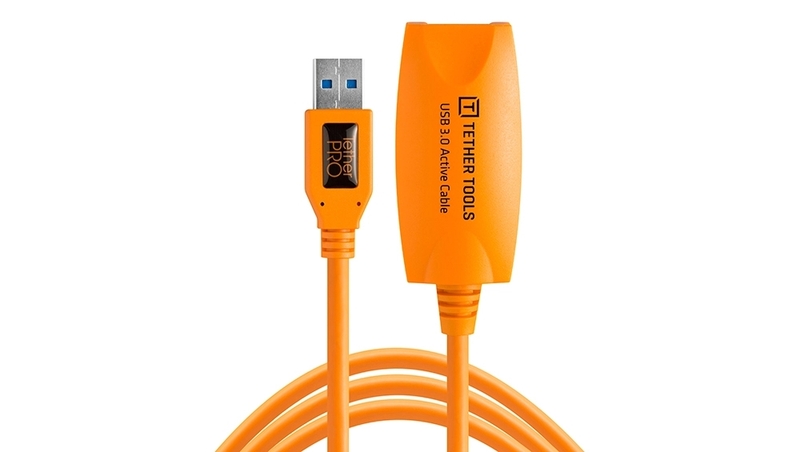 The Tether Tools TetherPro 16ft USB 3.0 SuperSpeed Active Extension Cable (Black) offers fast and reliable transfer of images and data. The TetherPro Premium SuperSpeed USB 3.0 Extension Cable is an active extension device that allows for longer tethering distances without worrying about signal errors or corrupt data transfers. Up to four active USB extensions and one passive 15' (4.57 m) USB can be daisy-chained together for a total of 80' (24.38 m), thus avoiding any drop-off in signals.